A full free consultation, to ensure you're happy with both my style of photography and are completely at ease with me, your wedding photographer for the day, this is with out any obligation and is a chance to make your mind up if I'm right for your wedding photography before you book. Full day Coverage. 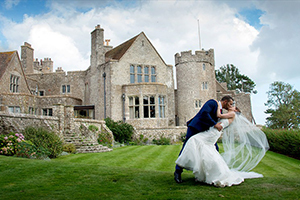 Coverage of your wedding photography on the day starting from your preparations, your hair and make up (if required) and arranged to capture your guests arrivals, the groom as he nervously prepares, your arrival and those final touches before your big entrance. A Mix of styles, This coverage continues through-out the day, taking in a mixture of candid reportage wedding photography with out compromising the formal, family groups, the personal portraits and at all times the essence and enjoyment of the day. Working with you in advance to make sure these formal groups are arranged sensitively, your arrival at the reception venue is documented, the speeches recorded and discrete photographic coverage continues in the the evening, not to forget the cake cutting and ending on a huge high of the first dance, and the second.. and on it to the night. A web site of your finished wedding photos, an easy reference point for you and your guests to both view and select your prints for albums and sharing. Free reproduction rights to all of the images on the DVD in full resolution allowing you to print off your own wedding photographs at your chosen outlet, or we can print them for you. Access to albums from every manufacturer to bespoke wedding album where your imagination is the only barrier to what is possible. 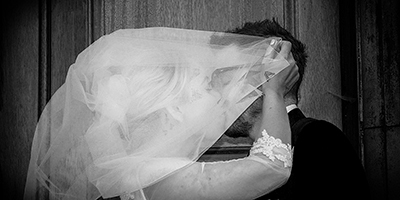 Wedding photography need not cost a fortune, it does how-ever involve a passion for what it is. I enjoy what I do, money isn't the driving force behind the wedding photography service we provide, quality is. Due to relatively low overheads, and great relationships with our suppliers I can pass these savings on to you. And if you are swayed by accolades and such, I have been highly review by the press, am an award winning photographer and my role prior to becoming a full time photographer was consultant professional photographer at Harrods of Knights bridge. Take the opportunity to compare my work in person (by taking advantage of meeting me), with any other, both its quality and presentation and I'm sure you will agree. Book to meet up with me for a chat and a look through some of the many full albums I have completed it the past by completing this form. We have simplified our pricing structure to make it easier to tailor your photography to get the things that you would love to have included in your perfect wedding photography package. At the bottom of this page is a easy to understand grid that allows you to see what is included in each of the packages, you are of course not tied to any of these, and we visit you with out obligation giving you both the opportunity to meet me and see much more of the wedding photography I have completed over the many years as well as discuss your requirements in greater detail.